Population mark: An ANU expert says the Indigenous population is back to 1788 levels. 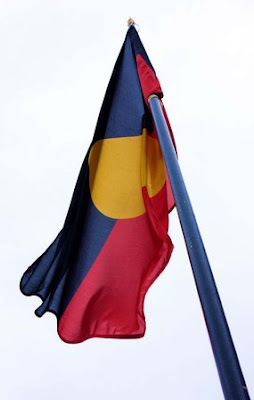 New figures from the Australian Bureau of Statistics say Australia's Indigenous population has reached 500,000, or 2.5 per cent of the total population. John Taylor from the Australian National University says the increasing population is partly due to a high Indigenous birth rate. But he also says the Indigenous population is increasing because more people are willing to identify themselves as Aboriginal or Torres Strait Islanders. "The lower end of estimates of population of the continent in 1788 was half a million. So you could look at this, in a way, as saying we've arrived back at the beginning, so to speak," he said. A bloody part of central Australia's history will be remembered today as a plaque is unveiled to commemorate the last recorded massacre of Aboriginal people. The violence was sparked 80 years ago, when a dingo trapper was killed by a Warlpiri man, 350 kilometres north-west of Alice Springs, sparking a series of reprisal killings. It is believed Fred Brooks was killed by the Warlpiri man for stealing his wife and not paying him his rations. Thirty people were killed in the 1928 Coniston massacre across six sites north-west of Alice Springs, although unofficial numbers claim a much higher toll. Descendants from both sides of the conflict are expected at Baxter's Well, east of Willowra, for a remembrance ceremony. Jeannie Herbert, a Warlpiri interpreter who has researched the massacre, says people still talk about the 1928 massacre as if it happened yesterday. "It is really, really painful to remember. Many of our people were killed and nobody has really listened to them," she said. She says the unveiling of the plaque is an important time to remember the dead. "We'd all like to go there to that commemoration area, we'd like to go there," she said. "My family's at Willowra from my grandfather and grandmother's people. "We really want to help our people, to educate them and maybe to remember the Coniston massacre." Indigenous people make up 28 per cent of the prison population. A new report reveals a rise in the number of Indigenous people being jailed since the landmark Royal Commission into Aboriginal deaths in custody 20 years ago. 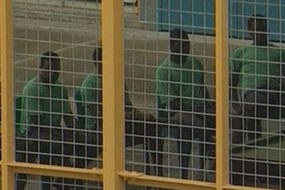 The Australian Institute of Aboriginal and Torres Strait Islander studies says in 1989, Indigenous people made up 14 per cent of the prison population. The Institute's Steve Larkin says researchers are now trying to pin-point the reasons for the rising rate of imprisonment. "When people don't have good health, when people are living in poverty, when people don't have access to a good education, don't have good employment outcomes, there seems to be a strong correlation between those sorts of factors and high rates of incarceration and offending," he said.